The Grand Chess Tour consists of three Super Grandmaster events: Norway, Sinquefield Cup and The London Chess Classic. This was a very successful first year for the tour, as nine of the world’s top players competed in each event along with a local wildcard. The tour will continue in 2016; and, once again, the Sinquefield Cup will be one the premier chess tournaments of the year. 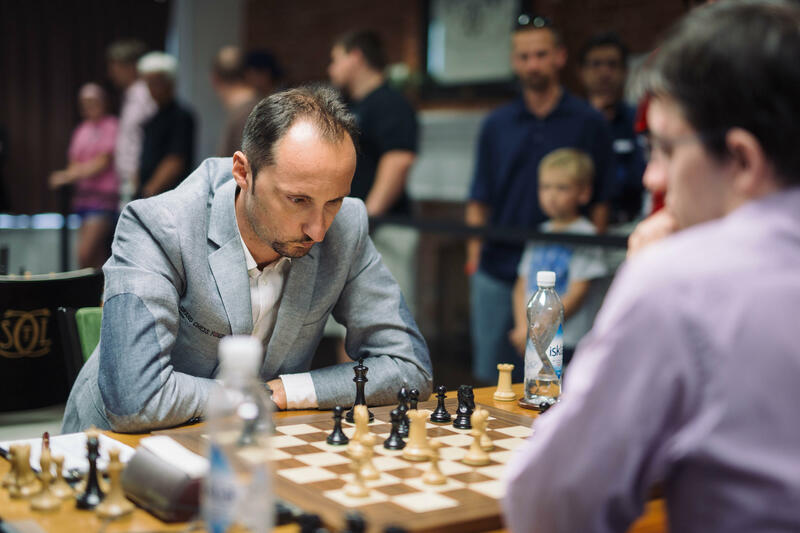 Veselin Topalov plays in the 2015 Sinquefield Cup. Another great event was an exhibition match, bringing the one and only Garry Kasparov out of retirement. Kasparov played his old foe Nigel Short (Nigel is over 50, but still plays actively). And did Kasparov put on a show of shows! The match was one sided, as Kasparov looked like his old self, winning with 8.5 points out of 10 total games. The world got to see, once again, the brilliant chess Kasparov was famous for. Many hoped we would see more of Kasparov after this total denouement of a strong GM. 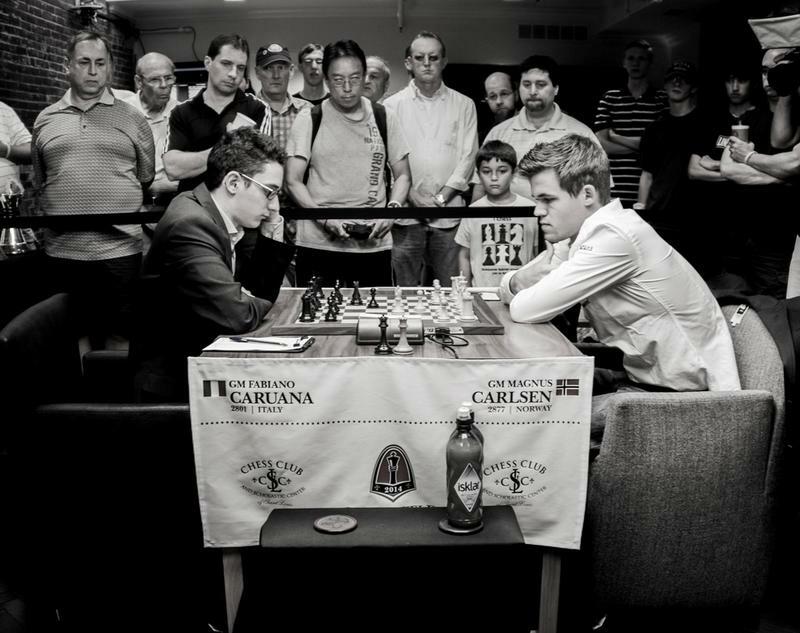 The second exhibition match of the year featured the top two American players, Hikaru Nakamura and Fabiano Caruana, battling it out over several days. Most thought Nakamura was the favorite since Chess960, a fascinating chess variant wherein the back row of pieces can be set up 960 possible ways, and blitz chess are two of Nakamura’s favorite games. But, Caruana was up to the task winning a close match, while the top female player in the world, Hou Yifan, won her concurrent match with Stanford student and Indian GM Parimarjan Negi. Both of the above exhibitions were available live to thousands of people watching online. In fact, the online presence of the Chess Club has gone global! The YouTube page of the Chess Club recently reached two milestones: 10 million views and 50,000 followers. All the content on the YouTube page is free to watch, and lectures and live game analysis of and by the world’s best has catapulted the Chess Club into one of the most watched chess YouTube pages in the world. 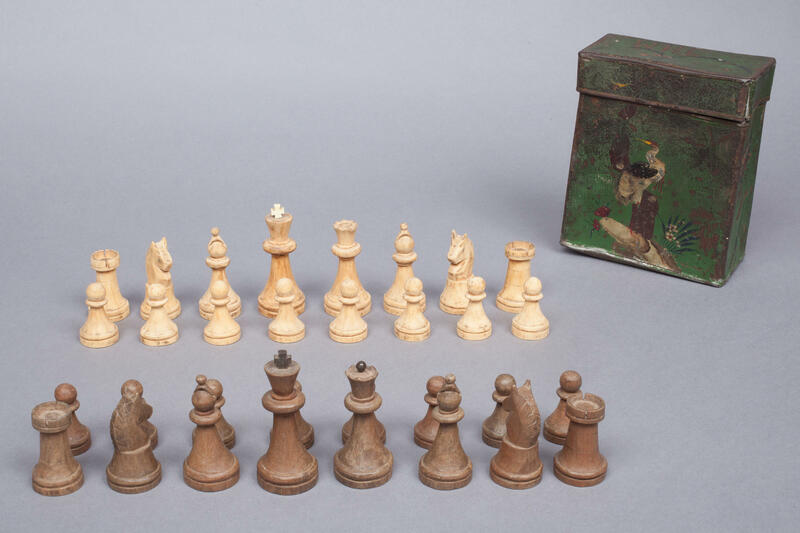 The World Chess Hall of Fame hosted many excellent exhibitions including “Battle on the Board: Chess during World War II,” which opened in June 2015 will soon end its run on Jan. 17. The exhibition is among World and U.S. Hall of Fame inductees on the third floor of the World Chess Hall of Fame. Add chess to the activities to be enjoyed in Forest Park. Finally, chess can be seen not only at the Chess Campus but throughout St. Louis. 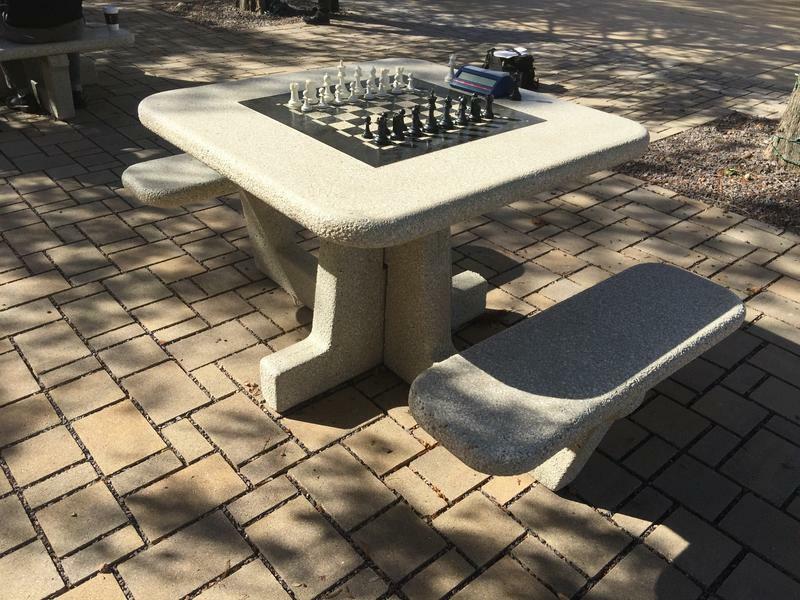 Forest Park introduced four concrete chess tables near Steinberg’s Skating Rink. 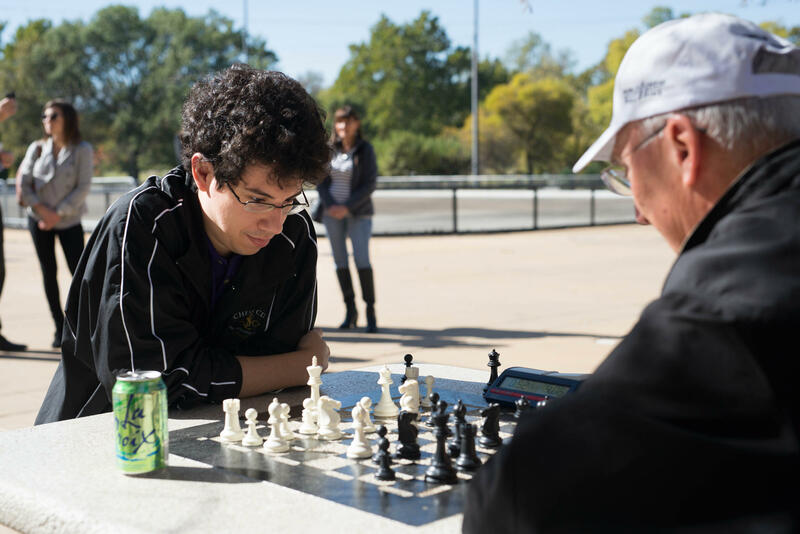 Come by in the spring; you might see a Grandmaster playing chess in the beautiful outdoors. There is always something going on at the Chess Campus or around the local community. To learn more about programming, visit worldchesshof.org/ or saintlouischessclub.org/. Grandmaster Ben Finegold learned the rules of chess at age 5 and was dubbed “The 40-year-old GM” after receiving the title in 2009. In between, Finegold was a U.S. Junior champion in 1989, a recipient of the prestigious Samford Chess Fellowship in 1993 and a competitor in nine U.S. Championships. He is a popular scholastic coach and commentator for elite events. On Chess comes from the Chess Club and Scholastic Center of St. Louis. It's been a strange year at the top of the chess standings. Going into the year before the first Grand Chess Tour stop in Norway, the elite had distanced themselves quite a bit from the rest of the pack. There was a marked difference in rating between those in the top-10 and those below; a significant gap of 30 or so points. And yet, it wasn't a good year for basically anyone at the top. Starting next week, St. Louis will not only be the capital of chess in America – it will hold the attention of the entire world. At that time, the inaugural Grand Chess Tour will start its second leg: the Sinquefield Cup, now in its third year. Last year's edition was the strongest tournament ever held, and this year's will host nine of the top 10 players on the globe.